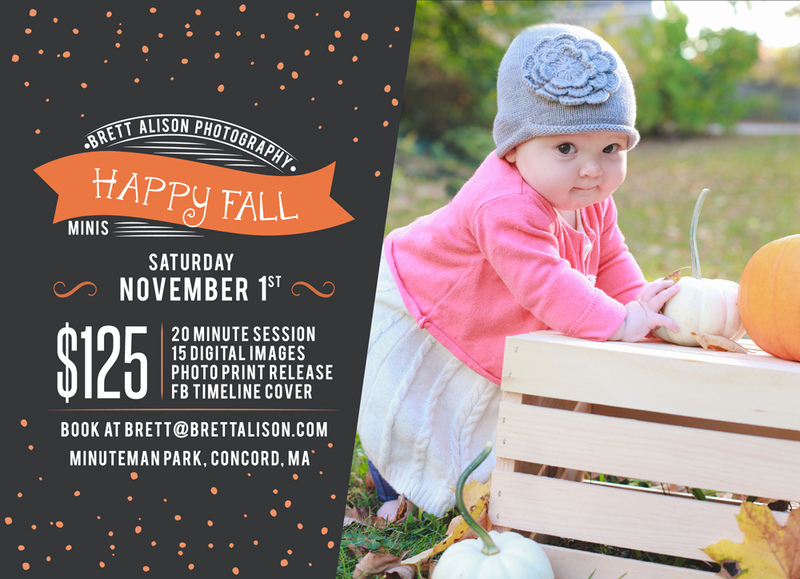 Just a quick note - I'm doing Fall mini-sessions this year! I usually don't do mini-sessions in Fall - it is usually just so busy with engagement sessions and weddings. I am lucky enough to still be busy, but I just love fall photos and want to see y'all again! Former clients, prospective clients, friends of friends, these are open to anyone and everyone. About half of the slots are taken up, but there's still some room! Just email me or contact me on Facebook.